Is this melancholy tipping over of seasons the reason ghosts keep drifting past the corner of my eye? Or is it the invasion of moths that’s had me sorting through more than two decades’ worth of sartorial archives, deciding what to clean, what to store and what to let go? Opening up garment bags has released the host of ghosts caught in the folds of those dresses… Though no whiffs of past fragrant loves emerged (just the smell of dust and textiles), the chore has set me to thinking of perfumes in terms of hauntings, possessions and spirit-raising. Hence the theme of this fall’s top 10 fragrances: new releases touched by remembrance of time past. Apart from Coco Noir Parfum and Cuir d’Ange which I’ve already reviewed, I’ll be dedicating full-length posts on those in coming weeks. My first two entries are polar opposites: one is a forward-looking reinvention of old fragrance families; the other raises the dead. The collection, penned by Olivier Polge and Jean-Christophe Hérault, strips down old genres to their bearing walls and reconstructs them (fougère, oriental, chypre, floral, the only modern family being musk). I had a passing sniff of this at The Bay in Canada, where it was pre-launched, and what I smell got me rather excited. The prospect of acquiring a “new vintage”, old-school fruity chypre is one that would many any perfume lover slaver. Bridging the gap between Mitsouko and Femme, Que Sais-je? brings outs the underlying toughness of the genre, especially since by streamlining its formula, Thomas Fontaine has made it a little gaunter. Overall, it’s quite close to the 1980s re-edition by Jean Kerléo. Though they don’t smell much like it, the next two entries seem to me to be haunted by a Féminité du Bois type of structure, which is in turn an offshoot of Femme. I’ve only just reviewed this much more compelling version of the 2012 Coco Noir, so just click here to read up. There can never be too many extraits. Rosabotanica (Balenciaga), co-authored by Olivier Polge and Jean-Christophe Hérault, deconstructed rose to reveal lesser-known, aromatic-green facets. In Osmanthé (the working title of FR!OI/N°8), Jean-Christophe Hérault submits osmanthus to a similar treatment. I’ve been wearing it all summer, but its musky apricot jam tenderly rubbed in wood will segue beautifully into fall. 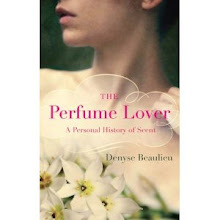 Please note that this is only available in the US via Fragrance Republic! My 5th and 6th picks hint at a fougère mutation towards the feminine – something I’m also getting for the pretty-nice-for-mainstream Burberry Brit Rhythm for Her. Yet another scent haunted by Lutens’ childhood, this new addition to the “rectangular” collection turns the chilling concept of Laine de Verre (a war between the masculine and the feminine) into a disquietingly tender, quivering charcoal sketch – an aldehyde-incense axis softened with vanilla. I’ll soon be publishing an account of my conversation with Serge Lutens at the launch. Just as Michel Almairac twisted the fruity chypre with Bottega Veneta, Daniela Andrier revives and modernizes the feminine fougère with this ethereal, twinkling fragrance. Jean-Claude Ellena’s lovely tribute to Hermès – both the house and the wing-footed messenger of the gods – exorcises the animal out of the leather. For the full review, click here. If Ellena’s angel skin is as femme as a swansdown powder puff, Sidonie Lancesseur’s devil rose is butched up with vetiver – a structure it shares with Rosabotanica and Ylang 49 – and aromatic nutmeg, a spice more commonly found in masculines. Part of By Kilian’s new Addictive State of Mind trilogy, Fabrice Pellegrin's Smoke for the Soul conjures the smell of weed with bitter (grapefruit), camphoraceous (eucalyptus), aromatic (thyme) and smoky (birch) notes. But it also brings to mind Bandit’s fierce bitterness – this smoke is seeping from the black Piguet bottle. My first sniff of this made me coin the word « grwow » -- a portmanteau of “grrr” and “wow”. This version prods the original’s musk accord until it turns feral. I’ll be getting my claws on a sample soon for a fuller prowl. For more Top Tens of fall, please visit Bois de Jasmin, Now Smell This and The Non-Blonde. 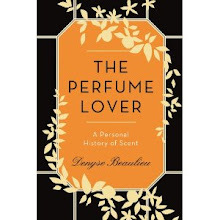 I know it's really hard to comment on new things most people haven't smelled yet, but otherwise my autumn list would just fall back on all my usual suspects -- Mitsouko, 31 rue Cambon, etc... Glad this preview of coming attractions inspires! 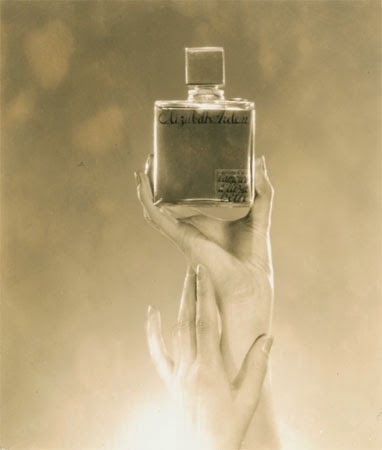 I've sampled L'Orpheline and liked it very much, even though it's not my usual type of fragrance - it reminds me of something that I can't put my finger on .... maybe a fragrance my father wore? Looking forward to reading your report of your chat with Serge very much. Jillie, that "can't put my finger on it" is also my impression of L'Orpheline... As for my chat with SL, the transcript is so long I still haven't had the courage to finalize my edits. With him, it's never an interview, always a conversation, which makes it hard to turn it into something more or less journalistic! Cuir de Russie and N°22 are in my permanent Hall of Fame! How is the lasting power on coco noir parfum? Pretty good, although like most extraits, it's deeper but stays closer to the skin.